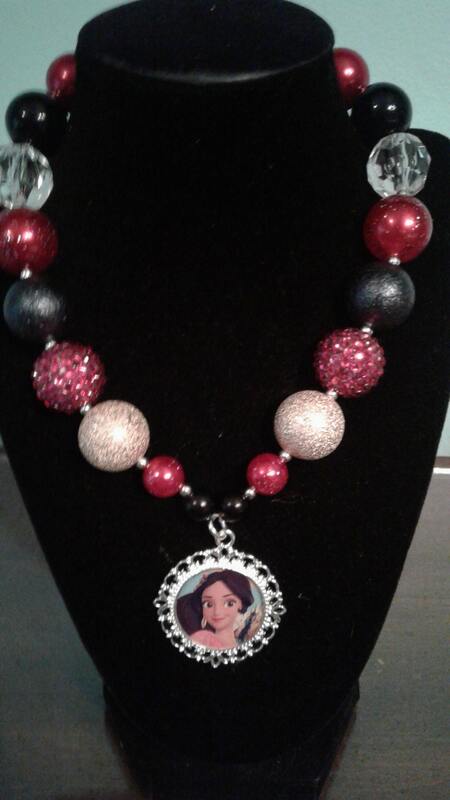 Your little girls will love this Disney Princess Elena chunky bead necklace. All of our necklaces are handmade and are one of a kind. As always all items are made in the USA in a smoke free home. Necklaces are made with beading wire. I use a variety of colorful pearl,rhinestone and acrylic beads. The necklaces are finished with a lobster clasp and measures 17" without pendant. If you have any questions regarding colors,styles or want to place a special order please don't hesitate to contact us. 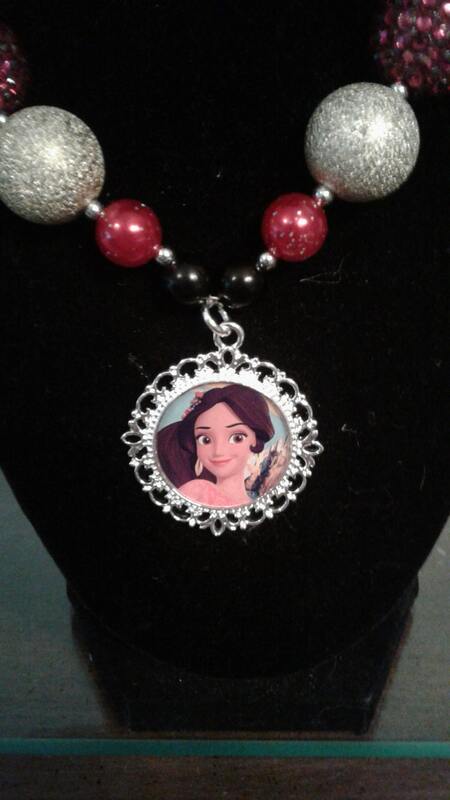 The necklace does contain small parts and children should always be supervised when wearing them. As with any jewelry,necklaces can pose chocking/strangling hazards and should always be handled with care.